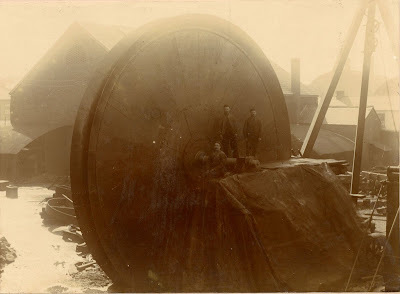 These photos show the immense size of Waddle centrifugal fans, some of the larger ones were 40' in diameter. 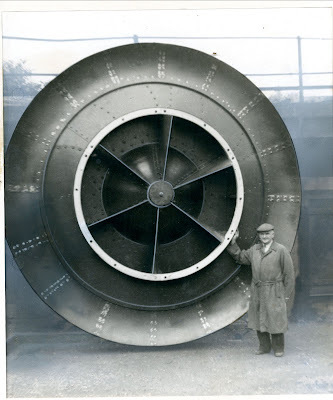 These fans were designed and manufactured by the Waddle Engineering and Fan Company Limited, in Llanelli, Carmarthenshire. They revolutionised colliery ventilation and were supplied to coalmines throughout the British coalfield, as well as overseas.